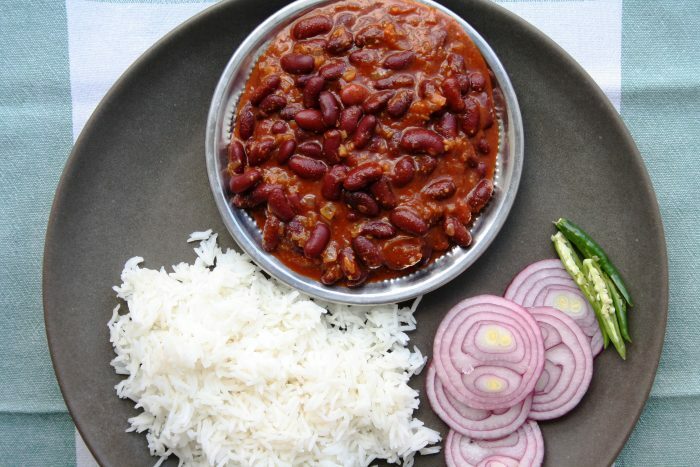 Rajma chawal for Indians is comfort food at its best. This is one of my go to recipes to cook Rajma and I was lucky enough to get the recipe when we visited Kashmir years back. Staying at a quaint little B&B with the stunning view of Dal lake and shikaras (taxi boats) in Srinagar; I have many fond memories of that trip; one of them being the food we were served for the week long holiday. Every bit homemade, traditional and so very delicious. One of the evenings yearning for something simple the lady who owned the place rustled up this red kidney bean curry with rice and was kind enough to give the recipe to my mother as well. 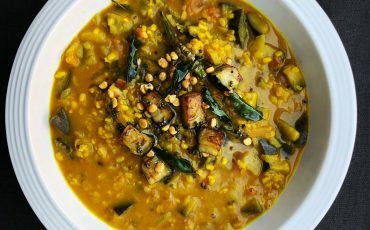 I live in the UK now and a lot of my cooking and the way I view Indian food has evolved so the recipe has had a few changes over the years! I cook this recipe for a mid week meal so when time pressed skip soaking the red kidney beans and opt for tinned variety which is so much quicker and equally delicious. The classic flavours of ginger, asafoetida and fennel are very much part of north Indian cooking and feature in a few recipes in my cookbook and on my website too. 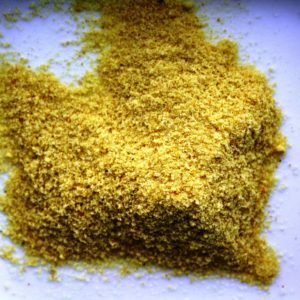 Powdered ginger has a heat and warmth which is very different to the fresh variety. 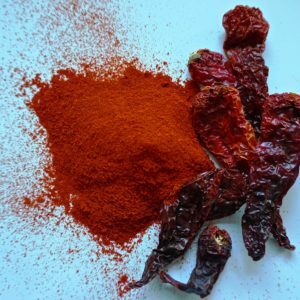 With so much depth, smoky flavour and warmth in this curry I have used chilli powder sparingly although you can increase the quantities slightly if you prefer it spicy. Turn the heat to a medium and add the chopped onions. Cook for 15-17 minutes as they change colour and brown. Stir every few minutes so they get an even colour all the way through. Cook over a low heat for 17-18 minutes with a lid on. Crush some of the beans with the back of the spoon. 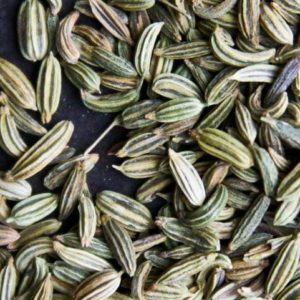 Garnish with fresh coriander and serve with rice and papad. Maunika being a meat eater the dish with kidney beans which is wholly vegetarian tempts me to cook the dish with meat like a chilli con carne how do you suggest I add the meat to turn the whole dish around . Lots of meat recipes on the website! Rajma is such a classic recipe and eaten with plain rice is simply delicious. What size tins of kidney beans did you use? Thanks. 400gms tins of red kidney beans. Rajma is comfort food. 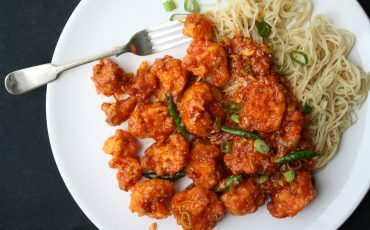 The flavor of ginger, garlic and tomato-onion paste gives the fabulous taste to the dish. When you say tomato puree, are you referring to what we call tomato paste in the US? I made this with US tomato puree this evening. While it was quite good the color wasn’t as red as your pictures and I feel like it wanted a little more tomato flavor. Yes tomato puree in the UK is sold as tinned/ tube of concentrate which lends the colour as well as richness to the gravy. Hi I would use slightly less. Although they need soaking and cooking prior to it just follow the recipe along the way once they are cooked. Enjoy! This was superb! I matched it with the Palak Dal (50% more spinach) and the Bangali Kumro Chenchki for a family lunch. 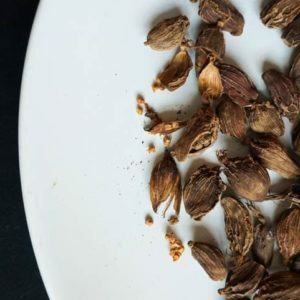 I should add that the males in the family were particularly attracted to the earthy, almost smoky flavour imparted by the black cardamom. 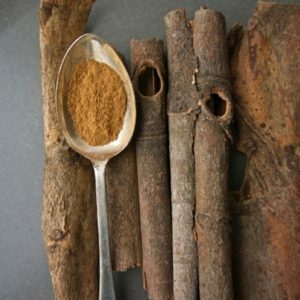 Is that what you would expect from the cardomom as I have not cooked with it before? Great recipe – as these are! I finished it off with a teaspoon of Chana Masala and a splash of lemon juice; this added just a little sharpness that I felt raised the dish. hi, how many onions do you need? As the recipe mentioned its 130gms of white onions.